Local Devotees like to call Luang Phu sawad ‘Por Phu Ruesi’. 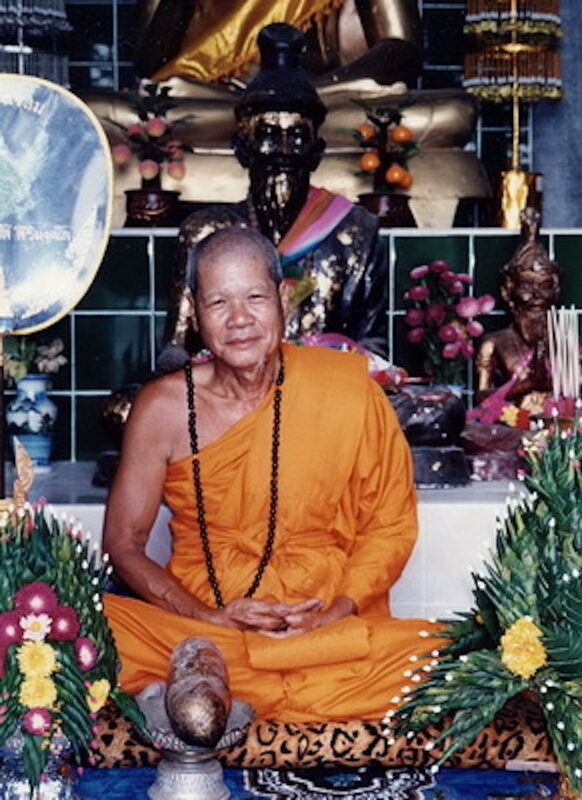 This is because before he was a Monk, he was a practicing Ruesi practicing in the depths of the forest, residing in caves in Thailand, Cambodia and Myanmmar (then Burma). He travelled all over the place, collecting Wicha from various other practitioners (both Monks and Ruesi) who he met and exchanged magical arts with. 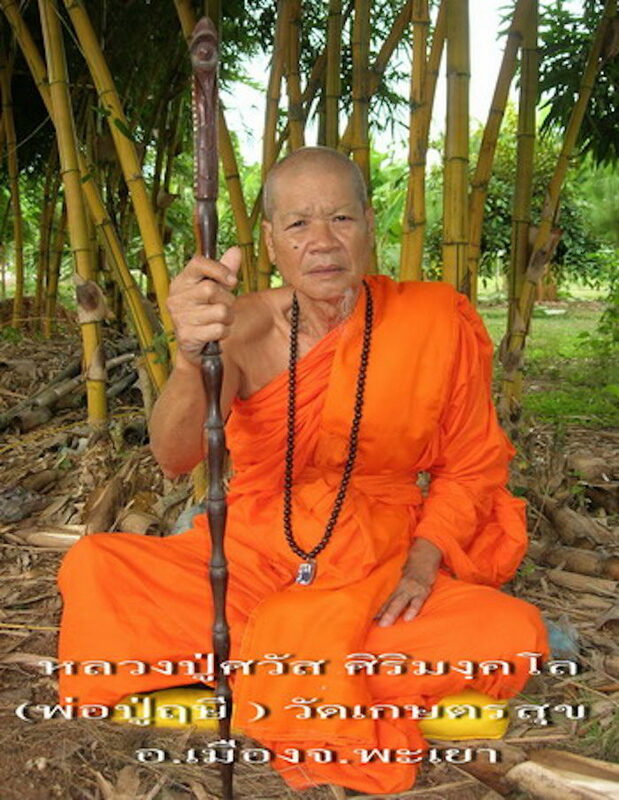 He remained in the forest until he became adept in both Wicha Akom (magical arts) and Vipassana Kammathana practice. Amulets that are powerful do not only come from knowledge of magical arts and ritual. The practitioner must also have developed mind powers to bestow the amulet with empowerment, normally meditation ability of he Jhanic level is required to empower amulets, and it is Vipassana Kammathana method which is one of the major causes the Jhanic power to arise in a practitioner. Suffice to say that LP Sawad has fulfilled both requirements to be able to be called an Adept practitioner. He stayed many years in the forest until one day his Kroo Ruesi teacher told him that he should go and ordain as a monk; ‘You can ordain already, you can be an Ajarn now’ he was told. 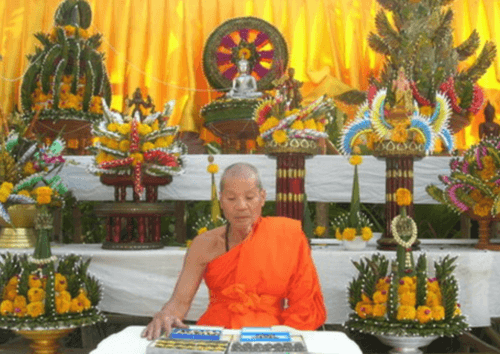 So Luang Phu travelled up to the North to find an Upachaya monk who would be good enough to ordain him. 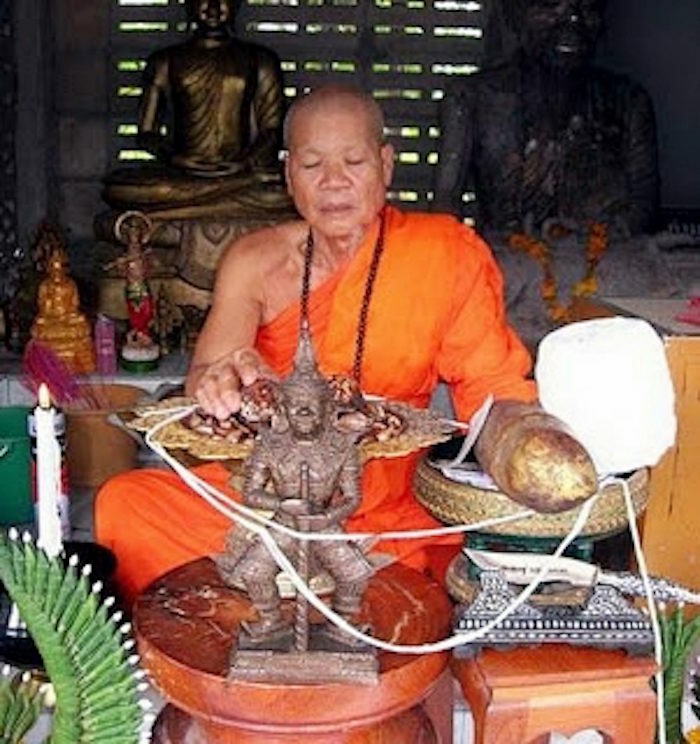 LP Sawad would use his Jhanic powers to examine each monk, for he said that if the monk who ordained did not have enough Baramee (greatness and merit), then it could cause that Ajarn to become ill and have inauspicious Karma (referring to someone less realized Ordaining someone more realized). Then one day he found a very old monk whose Baramee and purity was sufficient to be his Kroo, and he ordained. After his ordination, he asked to be able to wander on Tudong. As he travelled, the local Folk were filled with faith in Luang Phu and they gathered money together to buy some land for Luang Phu to build a Samnak Songk on. Luang Phu then saw that the words of his Ruesi Kroo in the forest were true, and that he was destined to become a Gaeji Ajarn. So he began to develop the place he had been given, until one day, it had become the temple of Wat Kaset Sukh that is visited by devotees from all around the Country and Foreign shores too. The visitors who come to pay respects and beseech blessings from LP sawad are increasing in numbers almost daily, as the word spreads about the various stories of people who used his amulets and saw very quick results according to what they were wishing for.